Chinese New Year is a wonderful time to start a new habit of making practice FUN. Your children will always be ready for practice, when you have these great games up your sleeve. Chinese Lanterns – For a colorful record of all your beautiful practice. Chinese Dragon – To help make a new habit. Kung Hei Fat Choy – For encourage lots of correct repetitions. Mandarin Oranges – For energizing flagging brains. 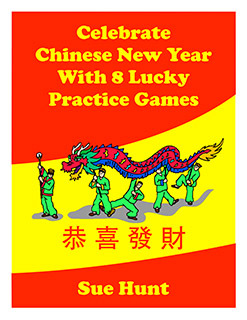 The Red Envelope Game – Excellent for playing at festive group lessons or at parties.